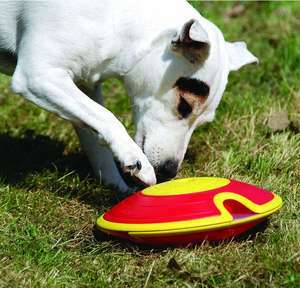 The Nina Ottosson Dog Treat Maze is a funtastic interactive Treat dispensing toy for any puzze loving pooch. 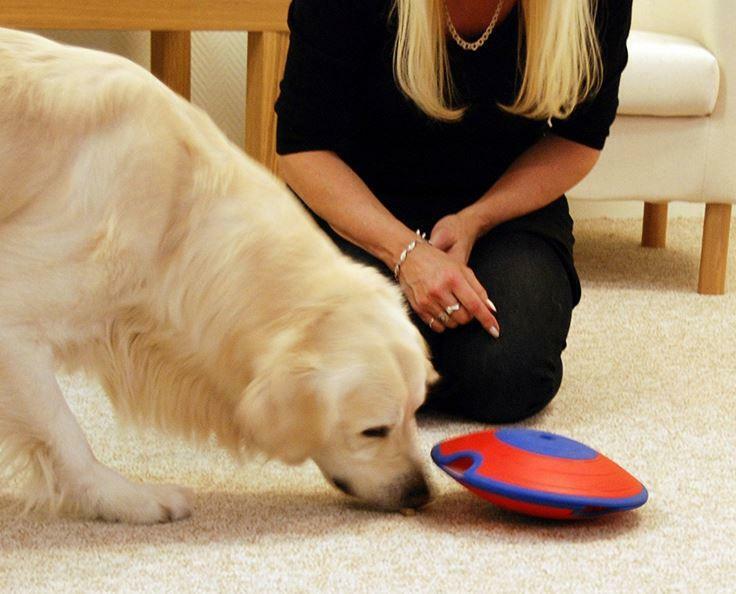 The Nina Ottosson Dog Treat Maze is a treat maze that activates and entertains your dog. 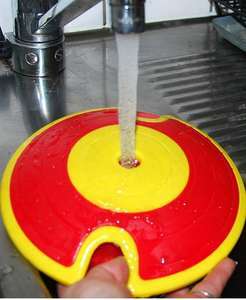 The unpredictable movement keeps the toy challenging. 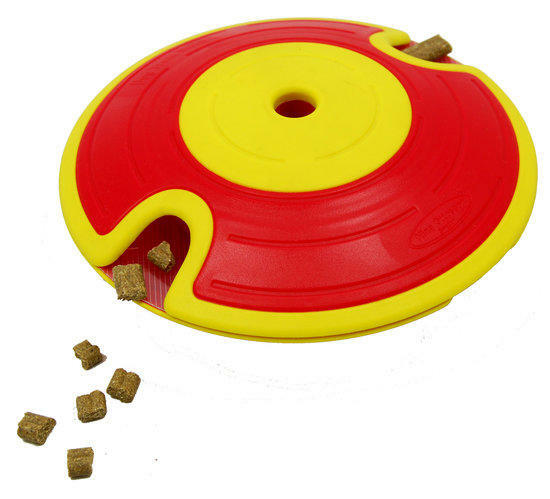 Put treats in the hole at the top on both sides of the Dog Treat Maze. 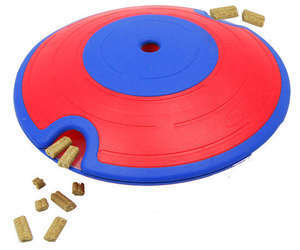 The dog has to work to get the Dog Treat Maze in motion so that it wobbles, rocks and sometimes spins around, allowing the treats to pass through a maze inside on both sides and then fall out through the openings on both top and bottom. Let your dog work for his food and feed meals in the Nina Ottosson Dog Treat Maze. Perfect for both slow and fast eaters. Can be used indoors or outdoors.